As part of my job with DevOpsGroup I’ve been doing more and more work with my clients in the windows space, as a result I got the opportunity to attend WinOps 2018 last november. It’s DevOps month! A one-off chance to get personal with a Microsoft Legend! 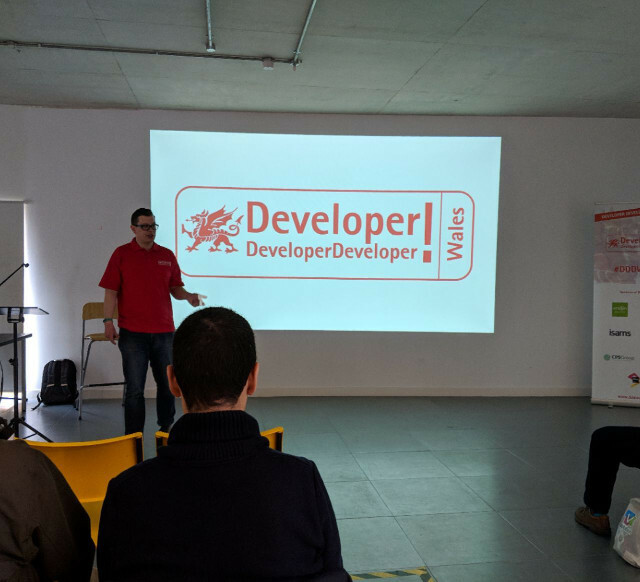 This was a fantastic meetup and it was great to hear about Martin Woodward’s experiences with digital transformations in such a tech giant such as Microsoft. I couldn’t believe that MS has had to deal with the exact same pain points that many of my clients deal with, it really helped me to understand that these pain points moving to DevOps are almost universal. I was helping out with the conference during this keynote but I’ve since watched the youtube video above. This was a great watch I thought with the guys from ASOS explaining the pain points of their digital transformation into DevOps, if you are planning or are half way through such a transformation I suggest you watch this. I see a number of these pain points coming up again and again with our clients and it is also good to know it is not just you. Again I was helping out while Raj spoke, however I had had the delight of seeing this Keynote at our internal conference at DevOpsGroup. There is nobody I have met with quite as much energy as Raj, and it is well worth watching this presentation if you are on a Digital Transformation/DevOps Journey. I think this is an important conversation to every aspect of any organisation going through this pain. Raj covers a lot of the things that are really key to the success of one of these role outs! I had done a lot of terraform with AWS, but I was increasingly at my new job working with Microsoft Azure. I enjoyed this talk about the other side of the coin, and it also realised how far Terraform has come since the last time I’d used it in anger. Well worth a watch. This is a nice walk down the path that LinkedIN took towards SRE. It is a good primer for those who are on the path, or considering the path of SRE. For me I enjoyed again the feeling that everybody has these pain points and we are not on our own experiencing them, and that we can learn lessons from the trailblazers before us. Chocolatey is a fantastic tool in the windows automatation space, and to have its creator give a talk of the features available in its open source and enterprise solution was a real treat. If you are doing any kind of windows systems administration, I would reccomend this video just to get an idea of the art of the possible. I was a data engineer at a previous role, and I had literally been working on some performance testing that had run up against a lot of the problems discussed within this presentation. Keeping real world entropy for the tests without allowing real customer data to be breached at my testing level was difficult, it was therefore nice to see how other people have/could solve this problem. I love this video and send it to anybody who has just progressed past the beginner powershell level and are starting to think about how to productionise their code for other peoples usage. I think Rhys gives a great transition from writing code to solve problems to getting it into peoples hands. This talk is the next logical step for people on their powershell adventures after Rhys’ talk, and I really enjoyed this talk. I keep going back to it when I’m writing solutions in powershell, thoroughly recomended to check out. I would definitely attend the conference again, and watch the videos for anything that is of interest.